Cosette, a Great Pyrenees, was first featured here in June 2016. Found abandoned and starving with other dogs in a Tokyo apartment, she was one of the lucky ones for whom rescue came in time. Since the day of her rescue, life has continued to improve in leaps and bounds. 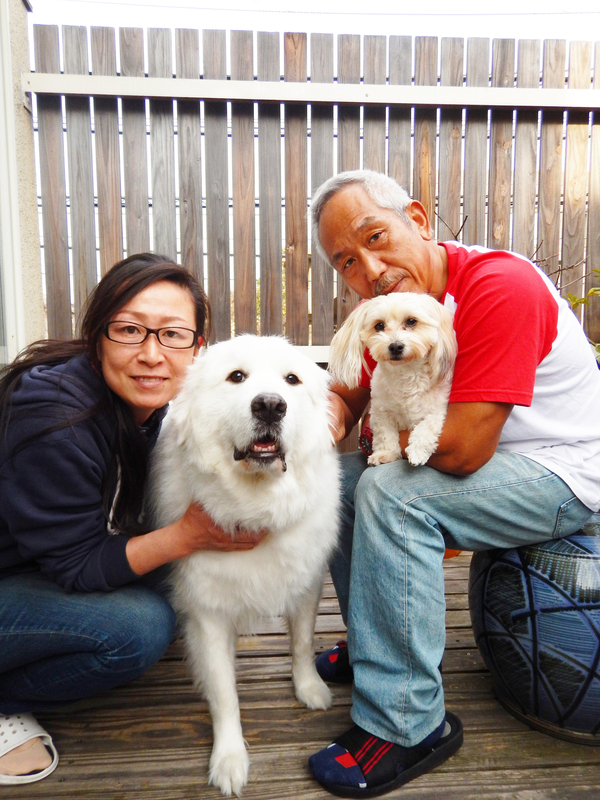 Cosette, rechristened Coco, has found a new and loving home with Yutaka Hibi and his wife, Mayumi, of Tokyo. 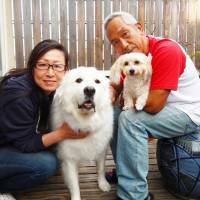 Pictured here with Coco (left) and their other dog Anzu, the Hibis had wanted to adopt after losing their two previous dogs a few years back.